It was great to participate today in a residency with Nahid and Alsarah of Alsarah & The Nubatones at the Durham School of the Arts. 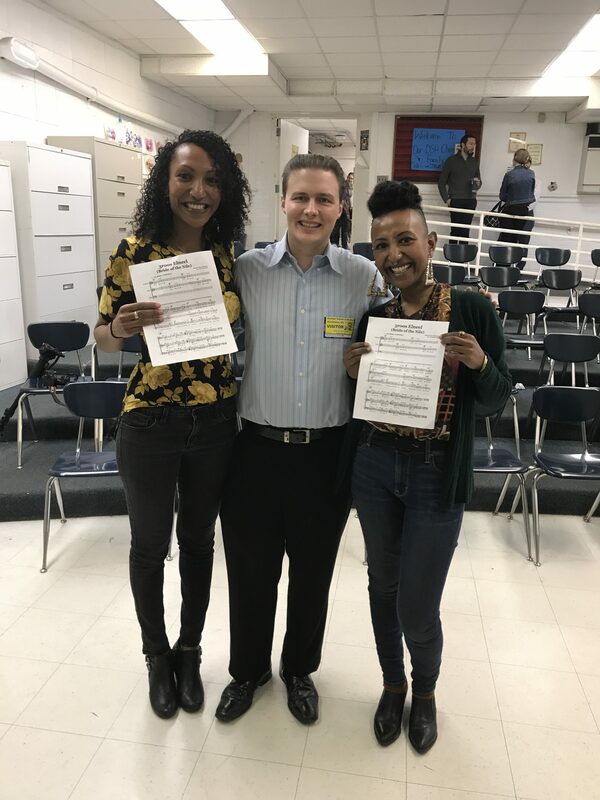 After a stunning performance by the band, the DSA chorus treated us by singing Alsarah’s “3roos Elneel (Bride of the Nile,” which I had arranged for SAB mixed chorus. This is the first of a series of US-based Muslim artists Duke Performances is bringing to Durham as part of a project that seeks to combat Islamophobia and strengthen understanding, through music, between local Muslim and non-Muslim communities. I am thrilled to have been a part of it and to have shared in the experience with the students at DSA and the Nubatones. 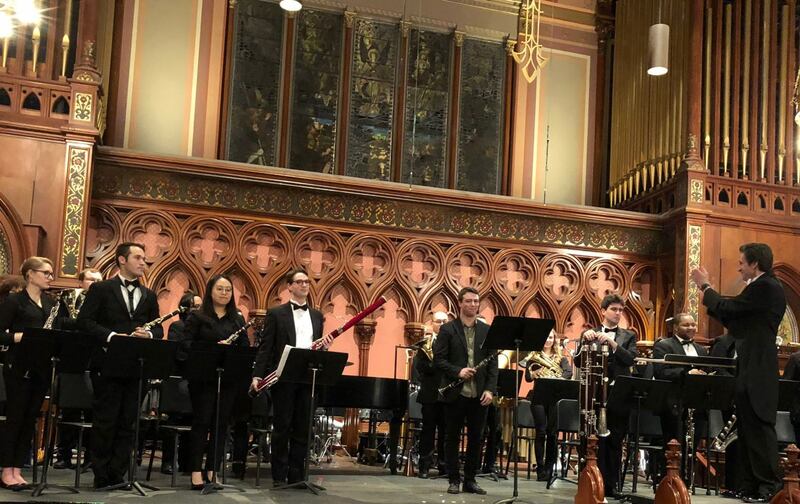 Bravo to clarinetist David Angelo and the Boston Conservatory Wind Ensemble, led by Matthew Marsit, on a fantastic first performance of <em>Bass Cathedral</em> last Friday at Old South Church in Boston. The piece is based on the novel of the same name by Nathaniel Mackey, and is featured in my dissertation at Duke.